Wet-Ice Over Fire. That’s the name of a combination of BLACKFIRE products – BLACKFIRE Paint Sealant and Midnight Sun Ivory Carnauba Paste Wax – that promises to turn heads and create WHIPLASH. In the past, if you created a bright, laser-sharp shine you had to sacrifice depth and liquidity. If you went for maximum depth and wetness, the shine was softened. Some products looked better on dark color paints and other products enhanced light color finishes. Wet-Ice Over Fire is a liquid wetness that ripples on the surface while still allowing the depth and energy of the paint to radiate through. We’ve experimented with Wet-Ice Over Fire shine on virtually every color paint and have yet to find a color that didn't look fantastic after treatment. You can always create more depth and liquidity on darker colors but even silver and white looks awesome with a Wet-Ice Over Fire shine. The BLACKFIRE shine is unlike anything else you've ever seen. 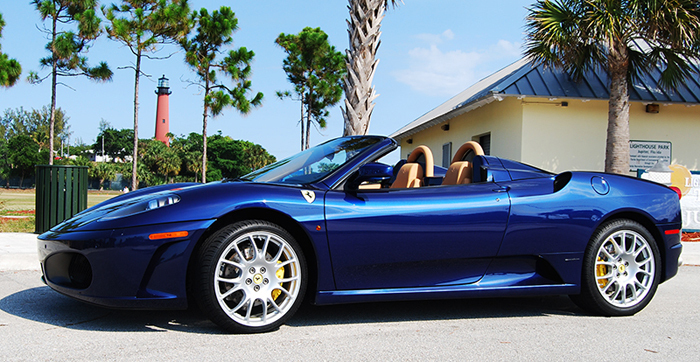 Check out the reflections created by BLACKFIRE Wet Diamond All Finish Paint Protection topped with BLACKFIRE Midnight Sun Ivory Carnauba Paste Wax on this gorgeous Ferrari F430 Spider. This classic combination creates BLACKFIRE's signature "Wet-Ice Over Fire" shine. BLACKFIRE was launched in 2001 with All Finish Paint Protection as our signature sealant. All Finish Paint Protection perfectly captured the rippling energy and liquidity of carnauba. Gone was the sterile, white, shine of conventional polymer products. 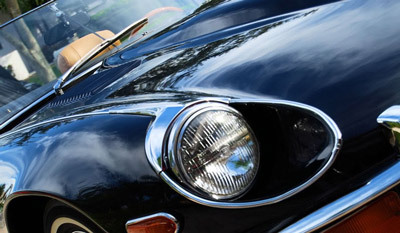 All Finish Paint Protection was a paint-friendly, oil-in-water, emulsion that would not dry out or dull paintwork even with years of repeated applications. It was extremely resistant to detergent washings and could protect for 6 months or more. 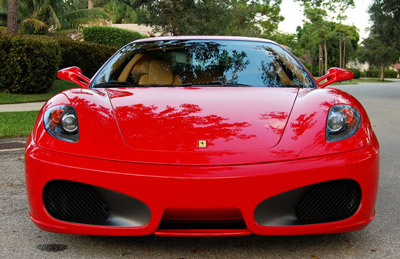 All Finish Paint Protection was updated in 2004 with a new acrylic polymer that refracted light, like a diamond, to create a laser-sharp, high definition, shine. The product was renamed Wet Diamond All Finish Paint Protection and became an instant success and a favorite with our show-car customers. Wet Diamond All Finish Paint Protection also leaves a super-slippery surface coating to resist water spotting. When PBMG acquired the BLACKFIRE line in 2012, further updates were made to Wet Diamond All Finish Paint Protection, most notably to the revolutionary tri-polymer system. Sourced from Germany and Switzerland, these polymers have a protective quality and depth of gloss that surpassed all others tested. When the BLACKFIRE line of products was redesigned and re-evaluated, the Wet Diamond All Finish Paint Protection was far too advance and impressive to be allowed to fall to the wayside. As such, we decided to keep this incredible sealant in the BLACKFIRE family. However, because the BLACKFIRE line was redesigned to cut down on the frills and focus on the results, we changed the name of the product to BLACKFIRE Paint Sealant. Don’t worry, even though the name no longer has the same flashy shine, BLACKFIRE Paint Sealant certainly does! BLACKFIRE Midnight Sun Ivory Carnauba Paste Wax was created with the idea that topping a synthetic sealant with a carnauba paste wax would result in a shine that was unlike any other. Many carnauba waxes today are created without any consideration to the possibility of combining multiple finishing products. As such, when other waxes are used on top of paint sealants, there is a clash of shine that ends of diminishing the results of both products. BLACKFIRE Midnight Sun Ivory Carnauba Paste Wax, however, was designed specifically to be used on top of BLACKFIRE Paint Sealant. Each of these products work in harmony to create the magnificent Wet-Ice Over Fire shine! Midnight Sun Ivory Carnauba Paste Wax can be used by itself, but it's really designed to be used over the latest generation of acrylic polymer paint sealants. Midnight Sun Ivory Carnauba Paste Wax bonds perfectly with BLACKFIRE Paint Sealant; no streaks, no haze, no cloudy patches. Just Wet-Ice over Fire shine! You buff Midnight Sun Ivory Carnauba Paste Wax before the wax starts to haze. 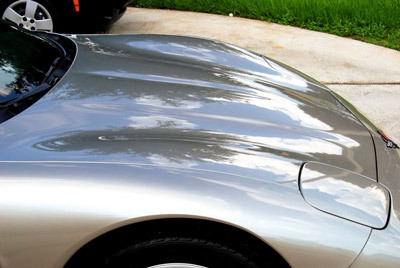 Simply walk around your car, wipe wax on a section (door, fender, etc. ), then buff to a bright shine with a Supreme 530 Microfiber Towel. There is no waiting for the wax to dry and no chalky residues in body seams. Midnight Sun is extremely resistant to white staining on plastic trim. It also applies easily in climates of high heat and humidity buffing streak-free with very little effort. Maintain the look by regularly washing your vehicle with BLACKFIRE Car Wash and using BLACKFIRE Instant Detailer in between washes. If you're on your own quest for the perfect shine, here's an opportunity to step up to a whole new level of paint protection and gloss. Who knows, Wet- Ice Over Fire might be just enough to put that best-of-show trophy on your mantle! BLACKFIRE Midnight Sun Ivory Carnauba Paste Wax is available by itself and in a BLACKFIREWet-Ice Over Fire Total Kit which will include BLACKFIRE Ivory Carnauba Paste Wax, BLACKFIRE Paint Sealant, BLACKFIRE Instant Detailer, applicators, buffing towels and instructions all packaged in sturdy, reusable case.